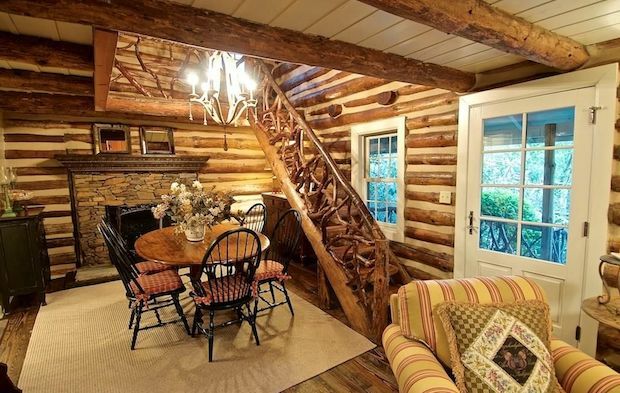 The Log Jam Takes The Classic Log Cabin Charm Up To New Standards! 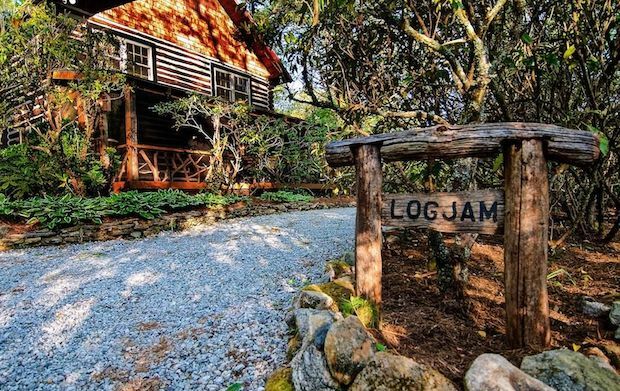 The Log Jam in Highlands, North Carolina is every bit as beautiful as its surroundings; the cabin has also been placed on the National Register of Historic Places by the United States Department of the Interior. 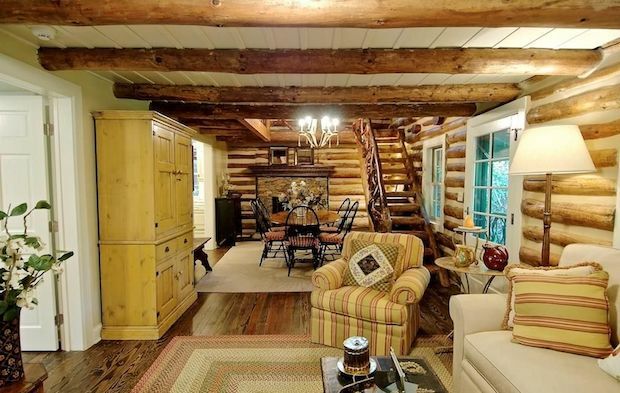 Lots of nature-inspired design choices can be observed all around the house; from the staircase and handrails to the exposed log beams, which are made to look like they were freshly cut and incorporated into the house giving of this fresh and pristine feel. Gentle and calm earthly colors make up the interior, ranging from natural wood brown and black accents to a soft creamy yellow and beige for the furniture. Outside is a courtyard with a fireplace and dining area, a great place for entertaining guests or just simply having a wonderful meal as you immerse yourself in the beauty of the natural surroundings. 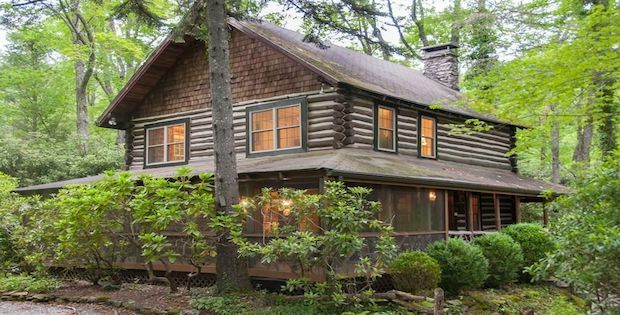 The cabin is sized at 720 square feet and is for sale at $769,000. 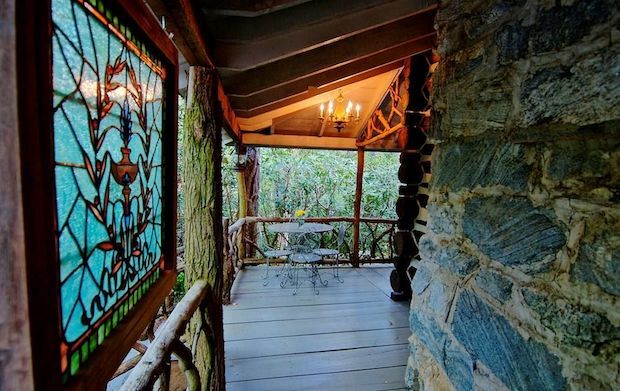 The home is nicely sited on a level lot with natural beauty and rhododendrons with very low maintenance. 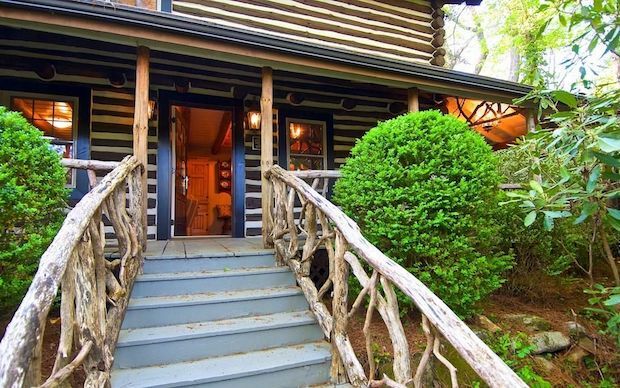 A side and a front porch for dining are great for entertaining. 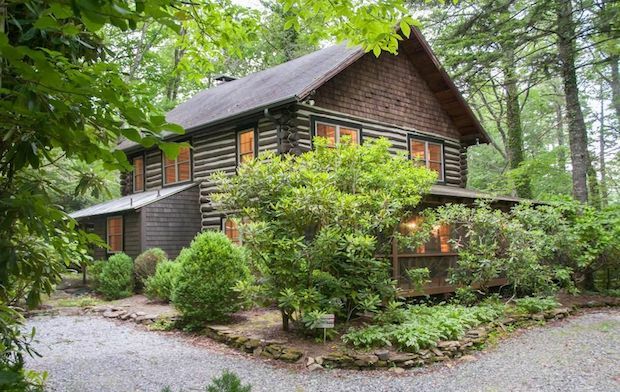 Located in a prime location just 5 minutes away from downtown Highlands! 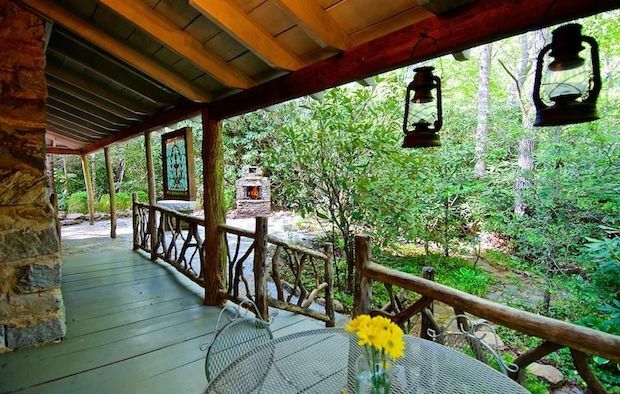 Come and enjoy the serenity this home has to offer! 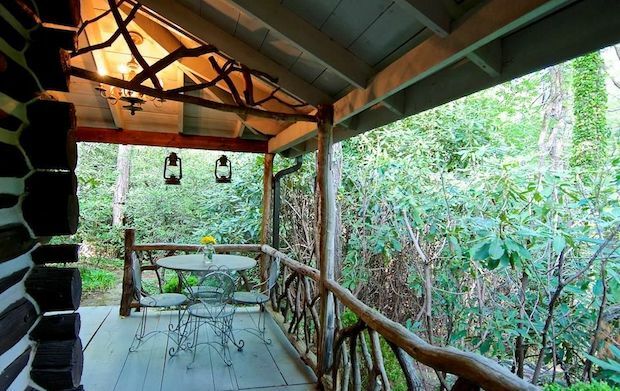 Treehouse FOR SALE – Can You Guess the Price?